Holiday shopping is in full swing and most of us have made decisions on which gifts we are buying for specific people. But, if you’re like me, you might like to make a lot of your gifts. I love to knit and crochet and the people in my circles appreciate handmade items. I especially enjoy making gifts for babies. There are so many cute things you can make for babies of all sizes, but I’m kinda fond of booties. I have several different booty patterns, but none of them are really holiday inspired. So, I came up with a few of my own designs and used only Christmas colors. I have an adult pattern for ski boot slippers and fashioned these baby slippers after them. It didn’t take very long to make them or used very much yarn. They’re so cute, you can use them as tree ornaments as well. I make anohter pair of Ski Booties, but in different colors. Very often I’ll use variegated yarn because it adds so much personality to the pattern. I love holly berries. They are symbols of the holiday season. 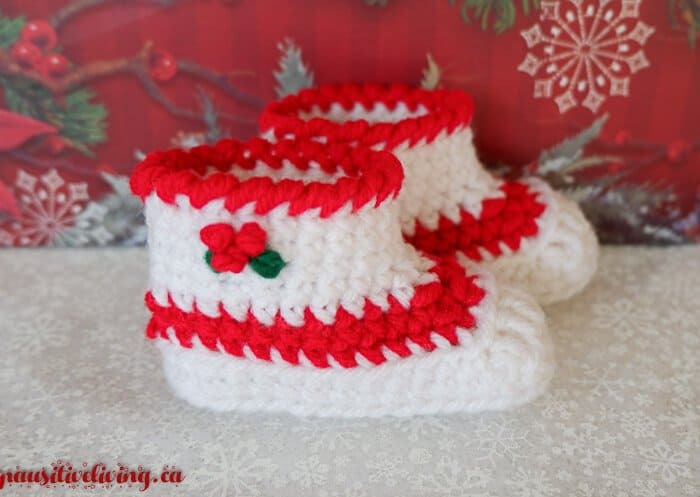 I made a pair of white baby slippers with a red band in the center, crawl stitch around the top and decorated them with a holly cluster. So cute! So, I had some high tops in mind when I made these slippers. They’re still a trendy footwear and I thought it would be cute to make a pair of baby slippers. I tried to create some stars on the slippers, but they didn’t translate so well. That’s the beauty of crocheting, you can use the single crochet as a cross-stitch grid. I can change the design quickly and add a different cross-stitch pattern in just a few minutes. The slippers made here are for 3 – 6 month old babies. 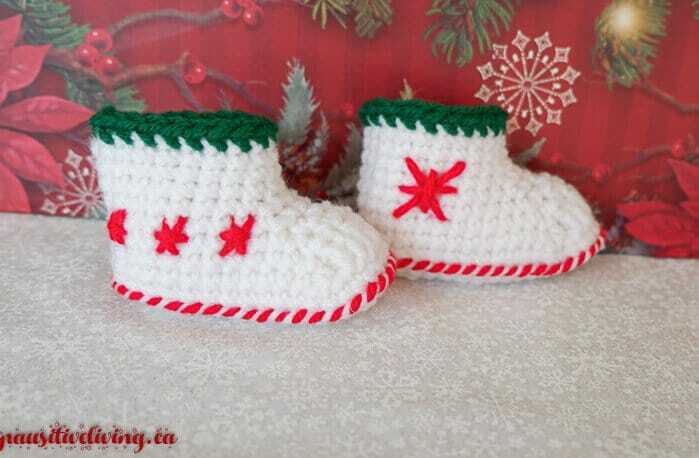 If you go online, you can find a plethora of free crocheted baby slipper patterns. It’s easy to add your own flavor or change the color to reflect the holiday season. My favourite are the holly berries. You crochet baby booties are just lovely. These are so cute. Love the white and red with the little berries on the side. so cute and festive for the holiday season and would be cute keepsakes! These are just too cute. Love them. The holly berry slippers are my favourite! They are so cute. Those are so cute, I need adult size for myself! These are really cute and easy to make but I have no little ones now. I need bigger sizes. They are so cute and very festive looking! The holy berries and the cross stitch design were a really nice addition too! These are so cute! I love the Festive colours and that you can add your personal touch to them. 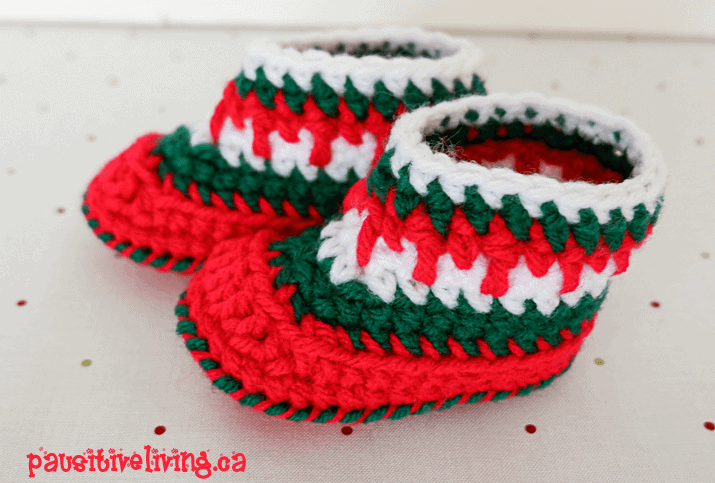 The colour choices of the booties are quite adorable…I’m passing this post onto my granddaughter who loves to make crafts. I love homemade gifts… I appreciate so much that someone would go to that trouble for me. All of these are adorable but I especially love the white ones with the red trim and holly berries! The patterns are so cute. I don’t crochet, but will look for some knitted patterns because I would love to gift some. Thanks. They are so cute, I wish I could crochet! These are adorable. They remind me of the slippers my grandmother used to make for us. I have mastered knitting but have never been able to get crocheting quite right. I remember having a pair similar to these when my son was born. They are so cute. These are all so cute… luv the white ones with the red trim and holly berries! I wish I could crochet…I can only knit. These booties are really sweet! I love receiving hand made gifts like this for Christmas. I miss my grandma’s yearly slipper presents. These are adorable! 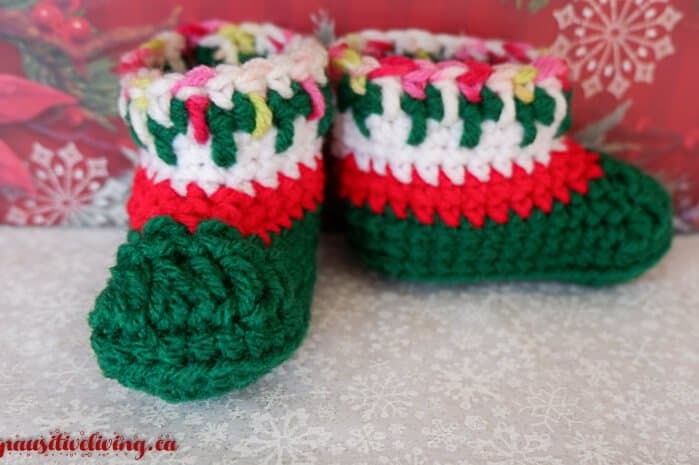 These would be perfect for any little baby for the Christmas season; so festive! I have two new little ones joining our family this winter. I love the these little booties and I’m pretty sure I could make them because I crochet better than I knit. Oh my gosh — those are so adorbs! Anyone with a baby would be so happy to receive them! These are so cute and I love the Christmas look. 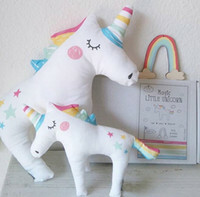 These are so sweet, and make such a great keepsake long after baby is grown. So sweet – and they grow so fast, you can never have enough slippers! They are adorable. I want to make some. If only we could figure out how to keep slippers and socks on their little feet – cute. Omg, these are just so cute! I would love them for my youngest grandson! I would love to see the adult pattern. There are no babies in our family but these would be perfect to donate to the preemie NICU! These are just the CUTEST!!! Love the baby slippers, they are so cute. There are so many different styles of baby slippers out there, it’s important to keep babies feet warm in the winter ! Gosh, they are so cute! These are so adorable. Wish I had more time to learn to crochet. They are adorable! I cant choose a favourite colour combination. I love these. I’ve tried to crochet slippers (adult) before but wasn’t very successful. I should try a smaller version. Yours are fantastic. These are cure booties for babies, kids grow fast so every holiday moment is so precious! The slippers are so sweet. Very cute! They’d make a great gift for new parents. If I could I would knit these myself as it would be so much more personal as a gift if I made them – but I never mastered knitting! So cute! I never learned to crochet, these booties are so cute and now I am sorry I didn’t. These are sooo adorable! Wow. I wish I could crochet like that. I guess practice would help build my skill.. Thank you so much for sharing! Merry Christmas! These would make a great gift and a sentimental keepsake for a long time to come.